and the four-time Formula One World Championship team, Infiniti Red Bull Racing. As part of the program, students will gain real-world experience working at the pinnacle of automotive and motorsports engineering. The tour kicks-off at Cornell University, followed by the University of Southern California (USC) and will finish at Texas A&M. At each university, engineering students will be invited to attend special on-campus information sessions to learn about the program and how to apply. After, students can attend an evening reception where they can meet one-on-one with Infiniti executives, university engineering faculty and Formula SAE representatives. At USC, Allyson Witherspoon, Infiniti's Director of Marketing Communications and Media, will discuss the program alongside the 2014 IPEA winner, USC student and Formula SAE Team Lead Jason Zide. He will share his first-hand experience of the program for students looking to apply. "This is a rare opportunity for aspiring engineers to gain experience in the notoriously difficult and competitive world of automotive engineering," said Witherspoon. "It's also a fantastic chance for Infiniti and Infiniti Red Bull Racing to meet with the next generation of exceptional engineers and start discussions about the future of road cars and race cars simultaneously." After a comprehensive assessment to identify the best applicants, a series of regional finals will determine one winner from different regions around the world including the US, Europe, Russia, China and Saudi Arabia. Each winner will receive a 12-month placement in the United Kingdom, which will be split between Infiniti's European Technical Center and Infiniti Red Bull Racing. Winning students will also receive a full year's salary. 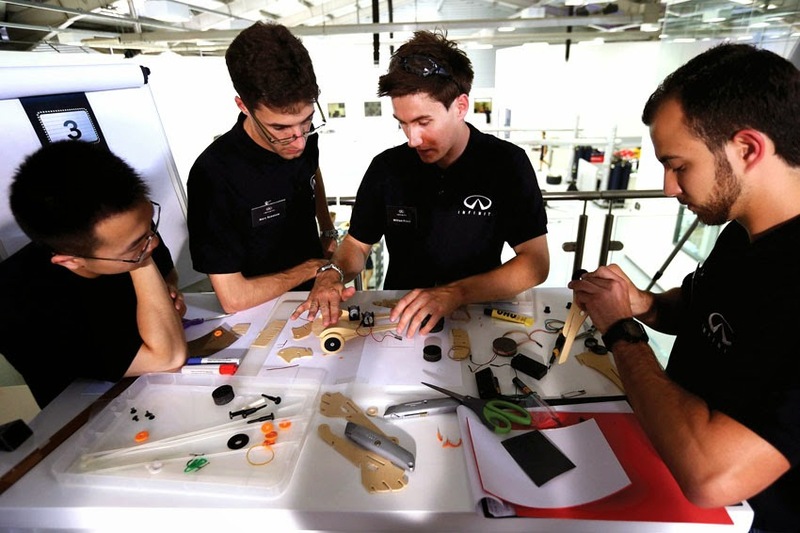 As part of their assignment, the winners will work on key road car projects for Infiniti and for the race team in various areas of engineering. The five available positions will cover vehicle dynamics, vehicle design, aerodynamics and electronics. Applicants are expected to have relevant academic backgrounds. All will be exposed to the close technical crossover between Infiniti Red Bull Racing and Infiniti, including the use of hybrid technology for increased performance on the track and the road.